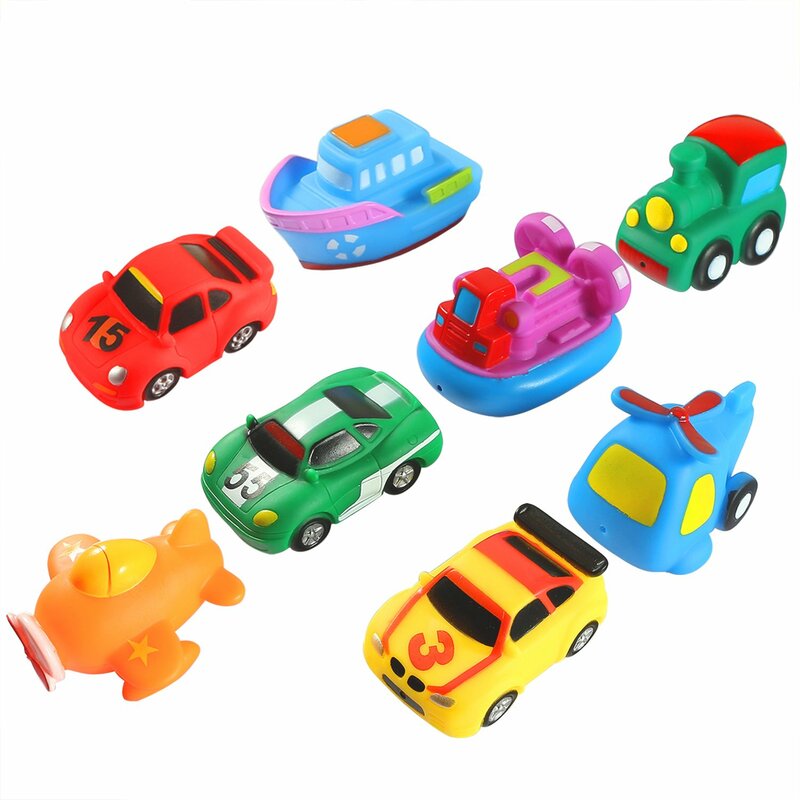 Water / beach play set with 8 pcs accessories. 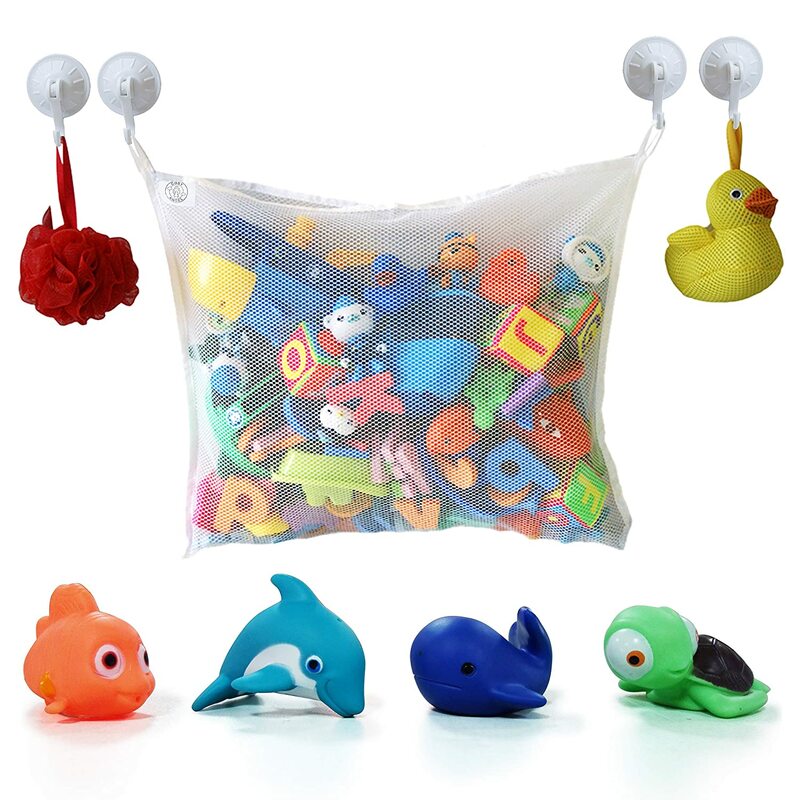 Contain 3 cute "face" fishes, 1 octopus, 1 duck, 1 whale, 1 fishing rod and 1 fishing net. 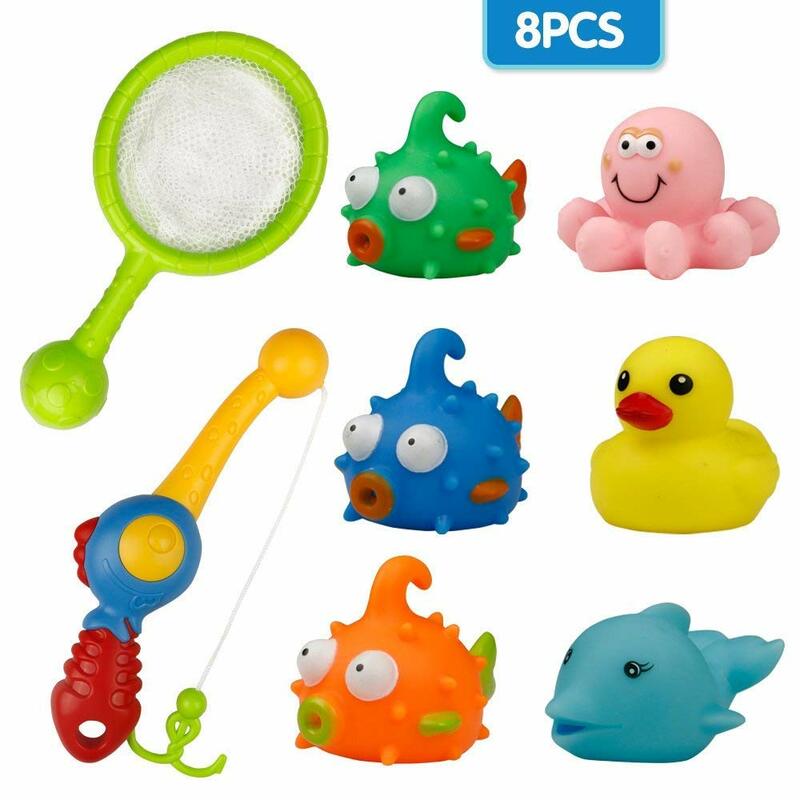 2 mode to play - fish fishes with fishing rod; fish octopus, duck, whale with net. Fish can spit water when you press it. 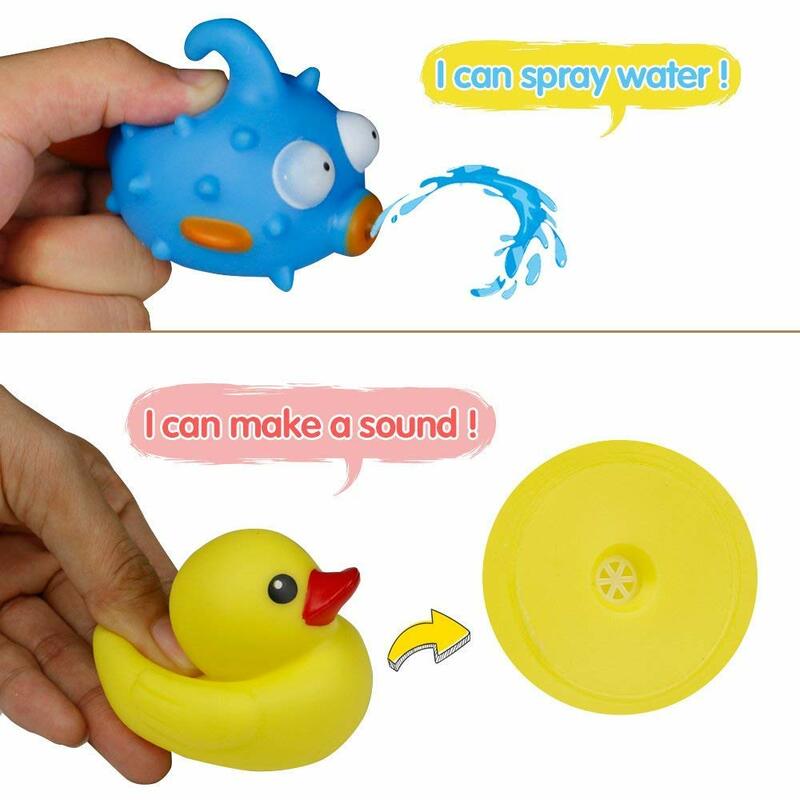 octopus, duck, whale can make "noise" when squeezed. 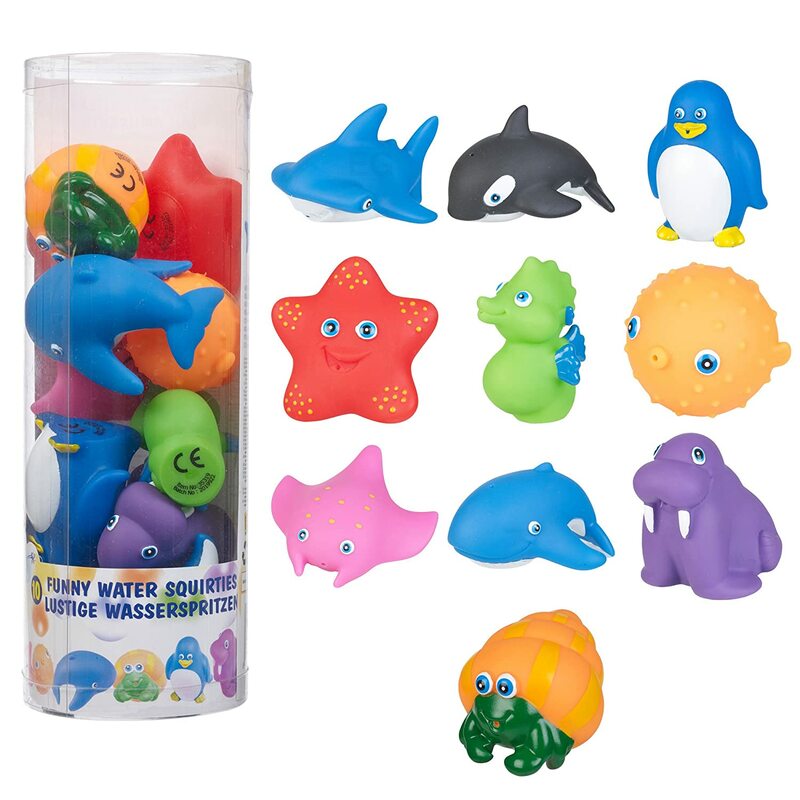 Fun water play toys for 3+. 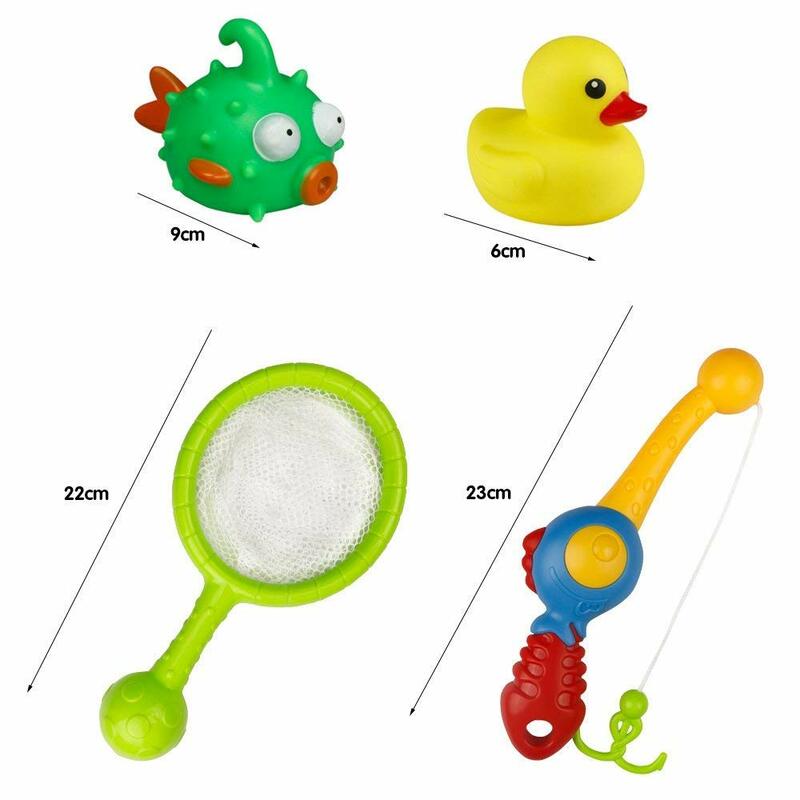 Water / Beach Play Set Fishing Game Toy Fishing Floating Set Fish Duck with Net for 3+. 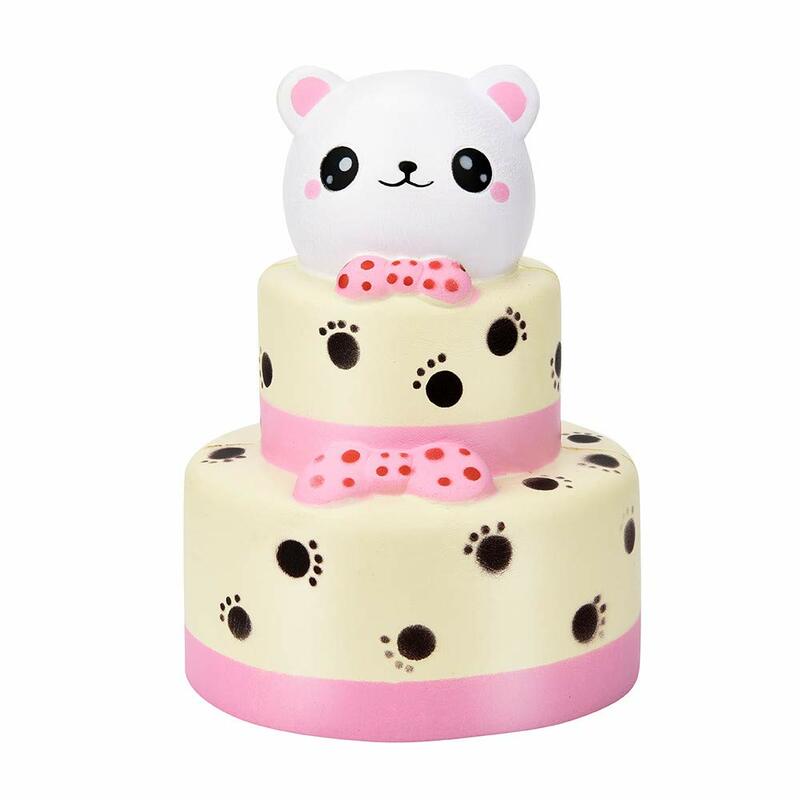 The little one likes these. They appear well made and very fun to play with. The fishing rod works very well too. 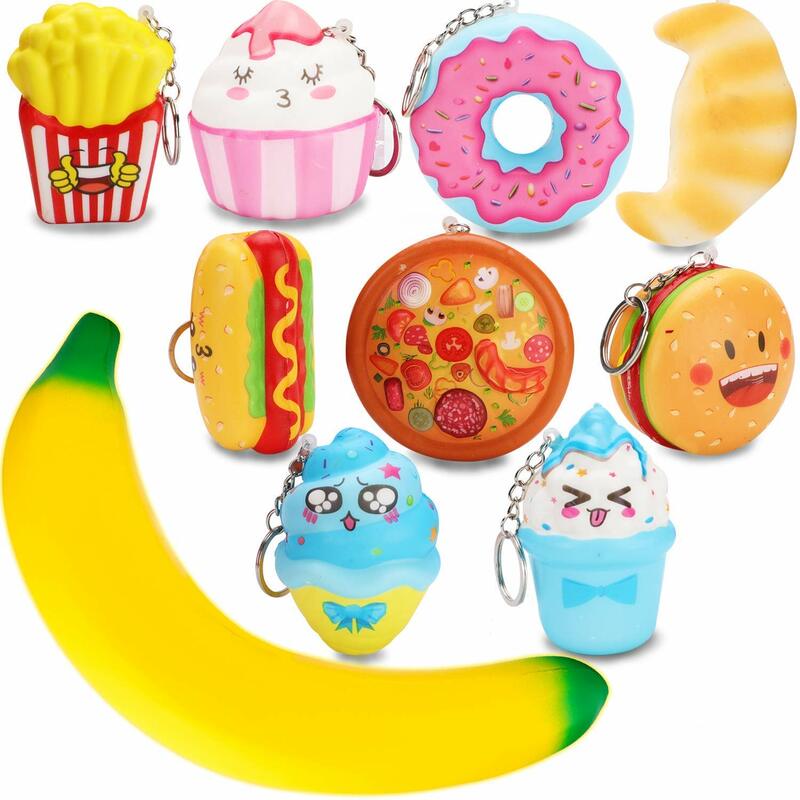 A downside for me and probably the LO is that the squeaks from a couple of the toys is crazy loud! Yeugh!!! Well priced though for what you get. 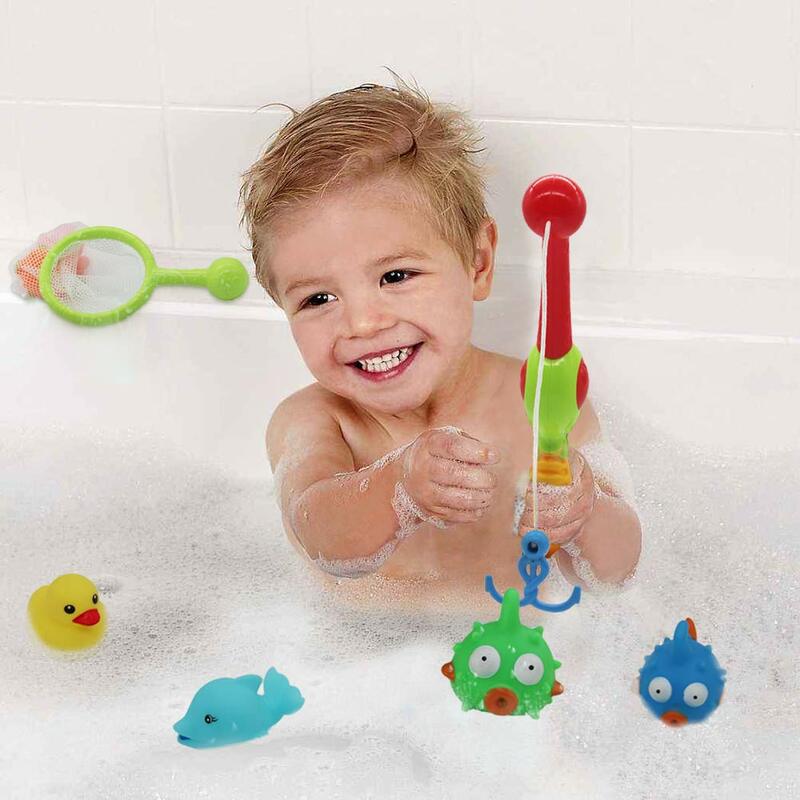 Little one loves playing with this in the bath! 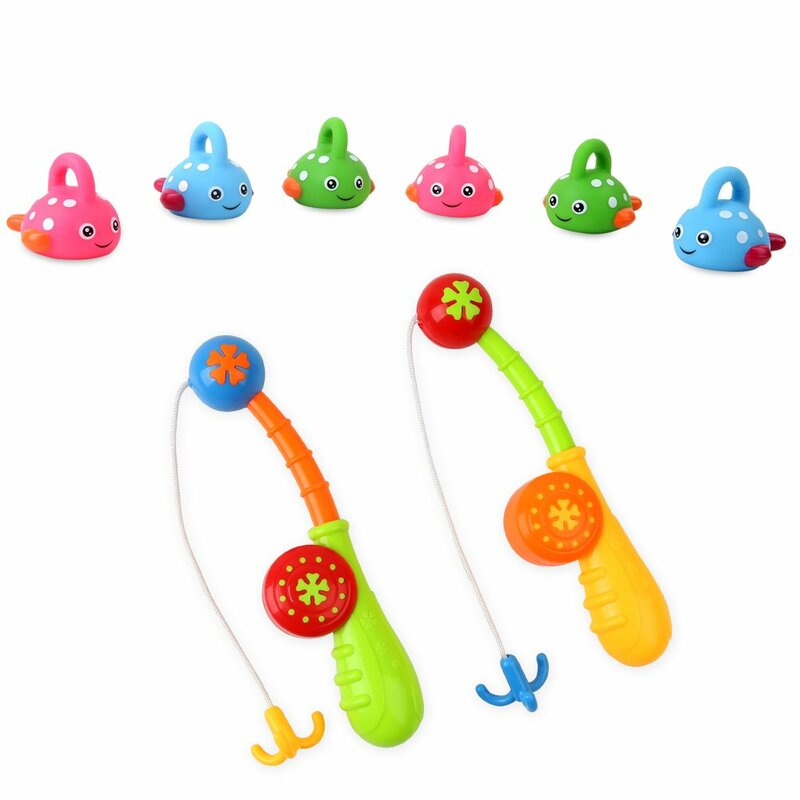 I shouldu2019ve looked more closely I assumed they all hooked onto the fishing line but it is only the three fish the other items have a squeaky centre. Great for my 10 year old he was made up. 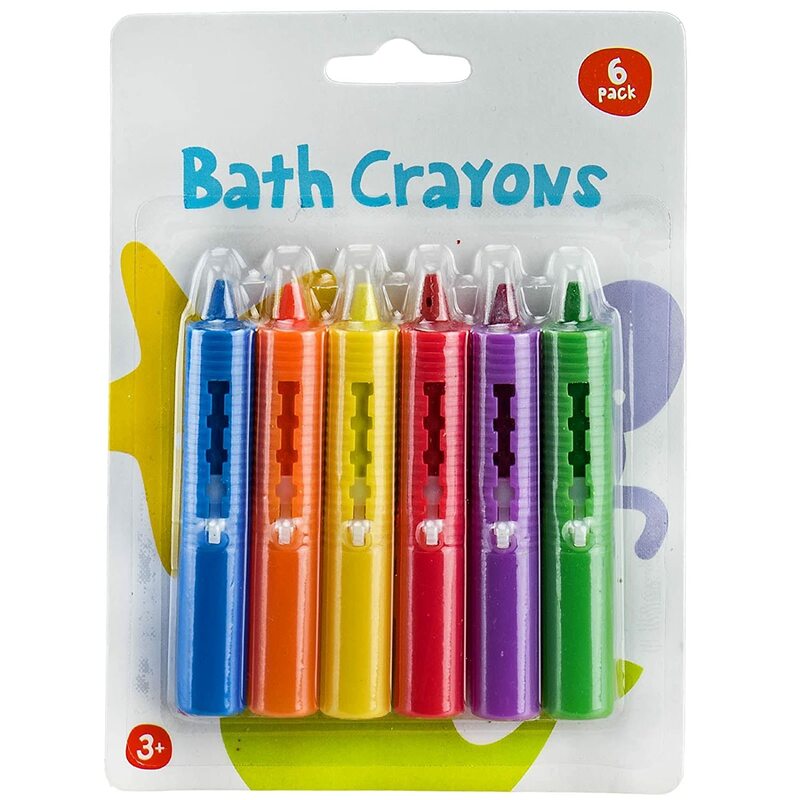 Bathtimes can be a bit of a struggle. Now he's happy to have a bath. 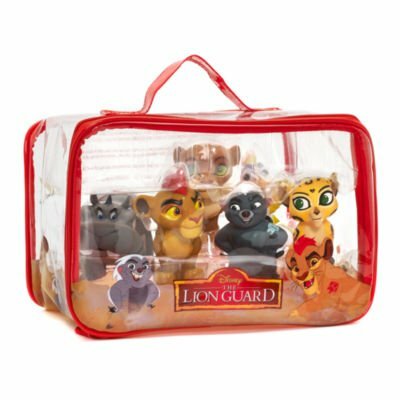 My 3 year old absolutely loves this. Both my nephews love this and what's more their parent's did too. It took ages for me to get them to let the kids play with it. 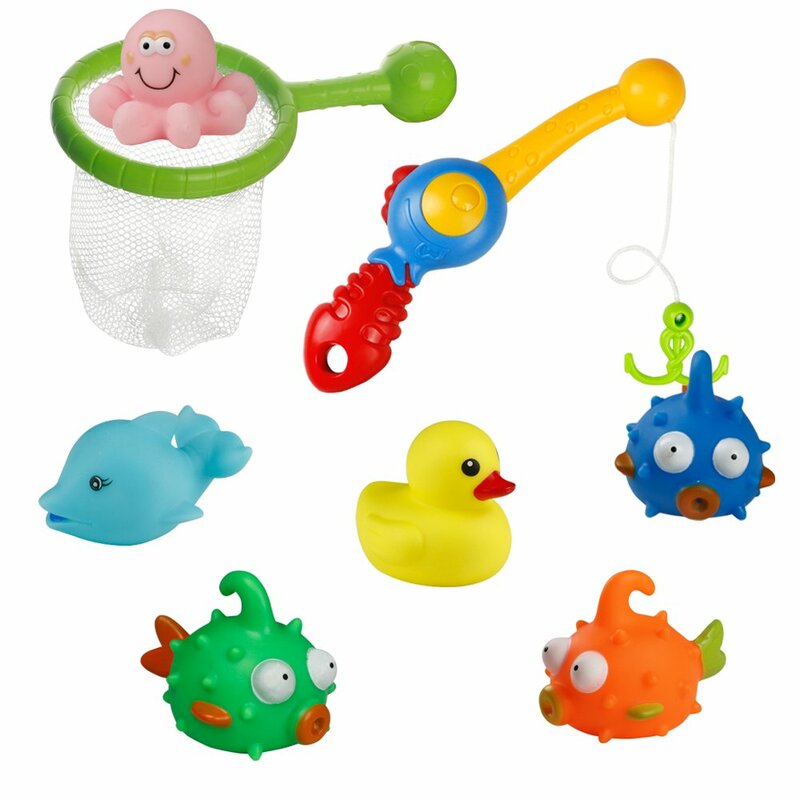 Great fishing set will be fun for the garden or bath so good we have ordered another for our other grandchild. 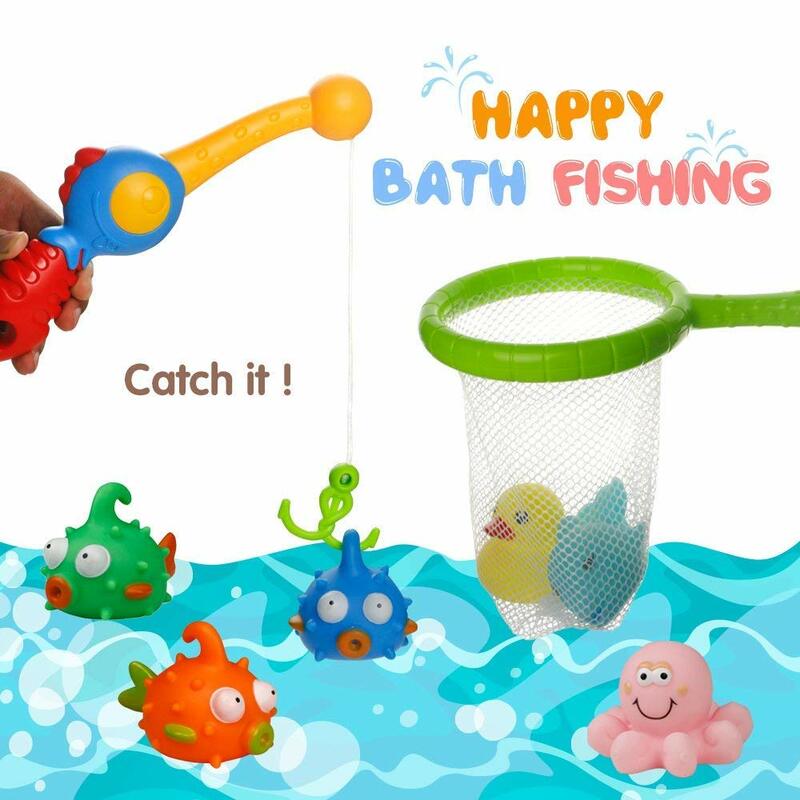 Good fun bath toy at reasonable price.